Most mothers get their children ready for school and then either drive to a job outside the home or do the work of a stay-at-home mother. For Mali Glass, it’s a little bit of both. Each weekday, she drops her three boys at school, gives herself a high five, and returns home to work on her family’s farm in Texarkana. ^ Traveling is a family favorite for the Glass family. Last March, they enjoyed a ski trip in Colorado. ^ Mali and Mitchell at Machu Picchu last July after hiking the Inca Trail with friends. 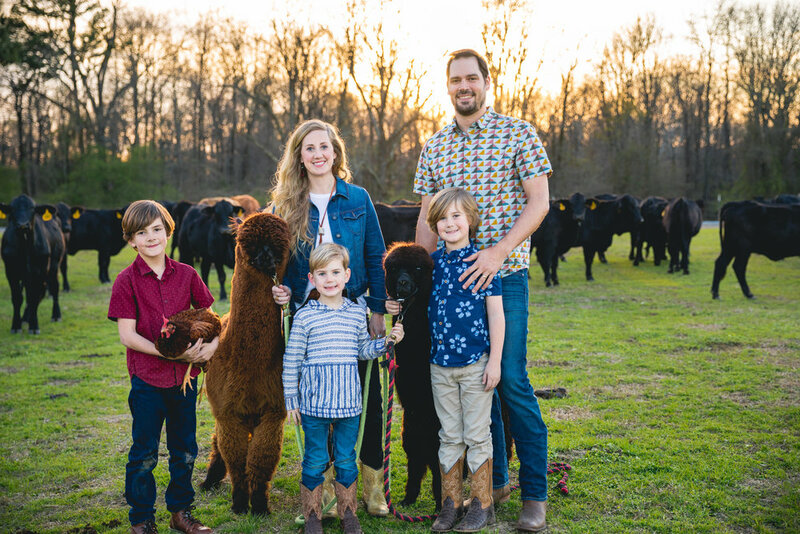 This is where their love of alpacas began. Mali’s last farm duty is to drive the farm truck out to check on the cows. As part of their farm is in their backyard, the Glasses keep their heifers (cows who have not yet born a calf) close by. “Essentially they are first-time mommas,” she explains. “I look for any new calves or mommas that may be in labor. Our main function as a cattle farm is producing calves and selling them once they have been weaned from the moms.” The most challenging part of keeping cows is calving season. “Calving season is really exciting and frustrating at times. This is where we learn that farm life does not happen on your schedule. We have actually left a black tie event to bring a sick calf into our garage for the night.” The Glasses credit the farming community in Texarkana with helping and teaching them as they grow in their farming life. “We have a great team that helps us!” Mali remarks. ^Judah enjoys riding his horse, “Pistol,” after school. 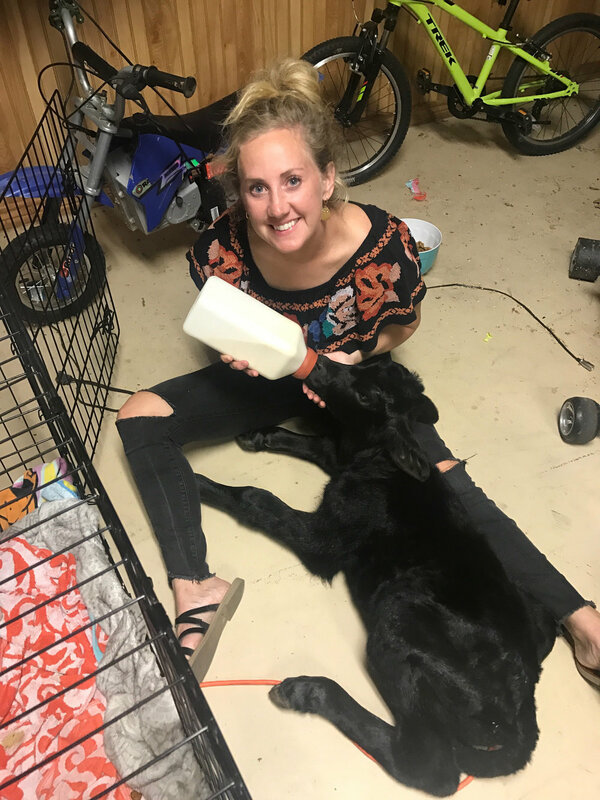 ^ Even on her birthday, Mali takes care of a sick calf in her garage. In the last eight years, the Glass family has built a rich life on their farm, and they truly love their community. In fact, they are the ideal advertisers for Texarkana. Mali avers, “We wouldn’t trade the friends we have made or our community for the best taco place around (and I really love tacos). I would tell anyone who was thinking about moving to Texarkana to get plugged in and meet as many people as you can.” .